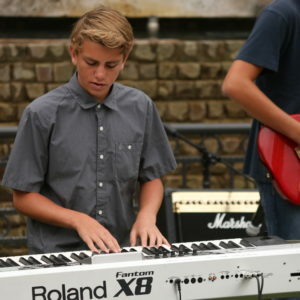 My name is Ryan Van Tuyl and I’d like to thank you for checking out Van Tuyl Music Academy in Huntington Beach. We started in HB in 2004 with one teacher, one student and a dream. 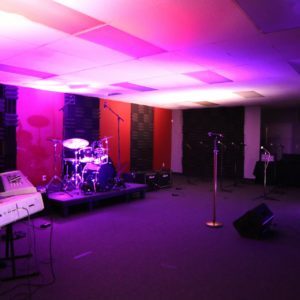 That dream was to create something that had been never before experienced: A music school that taught Voice, Guitar, Piano, Bass, Drums and DJ lessons in the the exciting genres of Rock, Pop, Blues, Metal and Jazz. 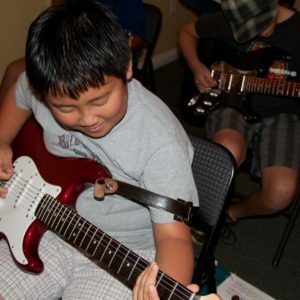 We combined the education, technique, and dedication of traditional music lessons with a fun, modern approach, called ourselves RockStars Music Studios and set off on our mission. 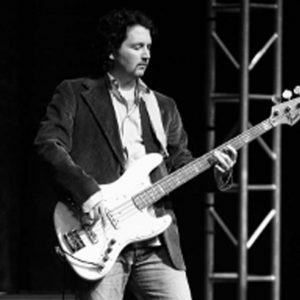 My name is Ryan Van Tuyl, I founded Van Tuyl Music Academy in 2004 in Huntington Beach, Ca. 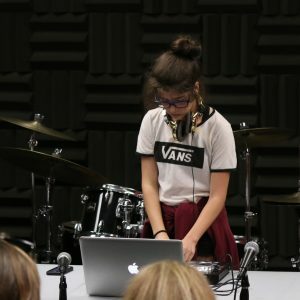 I started my own music academy because, when I looked around at what was available for music education, all I saw was a crowd of teachers just teaching kids to re-create the notes already on a page. We can’t wait to hear from you and help you get started in our program! Feel free to call us at 714.594.9853 or fill out the contact form below and someone from our VTMA Family will contact you ASAP. 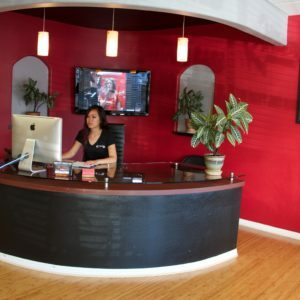 We’re a local business in every way possible. 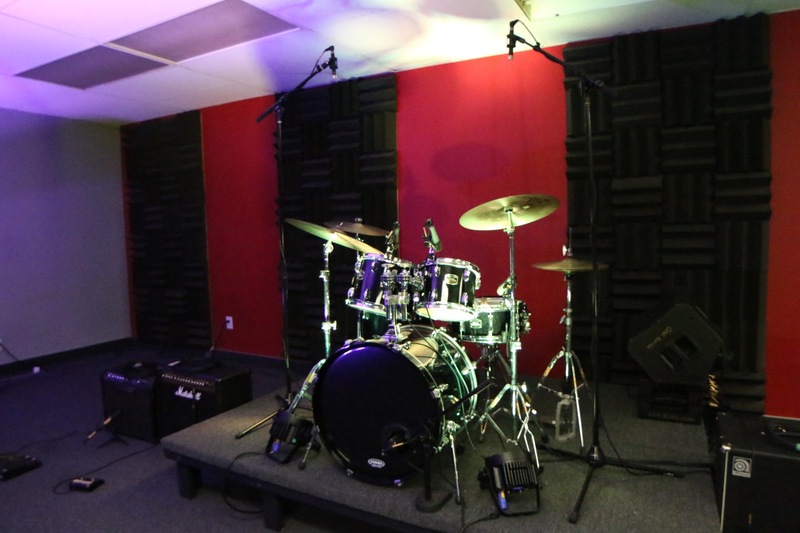 After its initial founding, VTMA got its big break in Huntington Beach by pioneering low-cost, yet fun and innovative group classes for voice, piano, drums and guitar with the City of Huntington Beach Community Services Department. 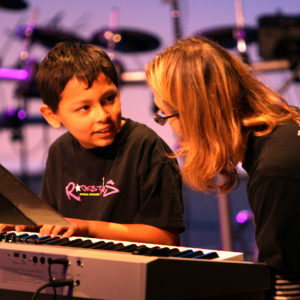 Not long after, RockStars was able to open its first location on Beach Boulevard with the help of several Huntington Beach residents and education leaders who saw our passion for performance based arts and music education in Huntington Beach. 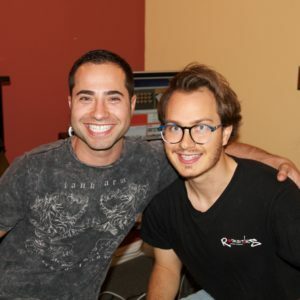 We’re not franchisees, but a team of professional musicians with a true passion for teaching others about music. That School of Rock movie may not be about us, but our instructors are true Rock Stars who’ve toured the world with major label music acts. We didn’t pay a multi-national education firm hundreds of thousands of dollars so we could get a one-size fits all formula for lesson success. 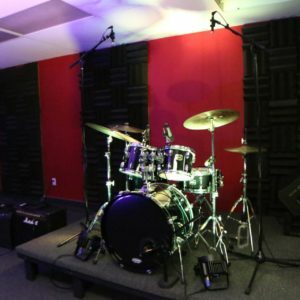 Our successful teaching philosophies and methods of music education come from years of experience in performing, touring, study, higher music education, knowing what to teach and how to teach it from thousands of lessons taught since 2004. While there’s an age minimum at VTMA (generally 5 years old), there’s no age limit. We’re always going to have more youth here, but we love adults and you’re absolutely never too old to start! 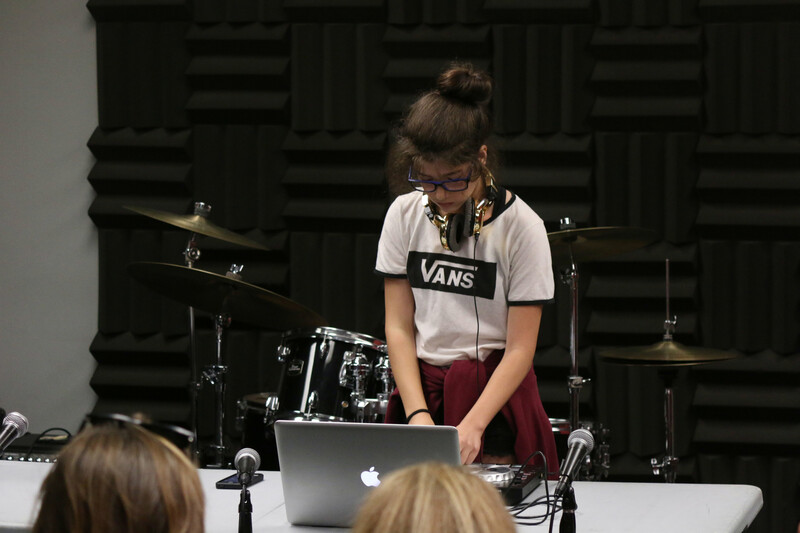 Our goal from day one has been to create a community of teachers, kids, parents, teens and adults who love music and want to better themselves through its study. We think we’ve done a pretty good job for a while now, why don’t you come and experience all we have to offer? 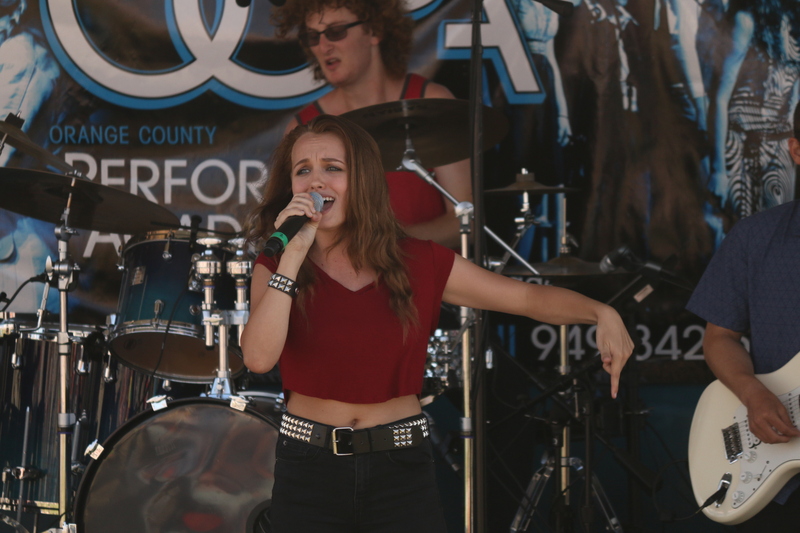 Be a part of Huntington Beach, Costa Mesa and Orange County’s original school of rock, Van Tuyl Music Academy. Learning can and should be fun! And who says you can’t immediately learn songs you love? We hold high regard for the classical virtuosos of today and yesterday, but at VTMA we are always seeking to be on the cutting edge of the music industry. We’ve seen first hand that students and musicians without an education based on the music of the last sixty years will not succeed or even be able to enjoy the benefits of musicianship in today’s world. 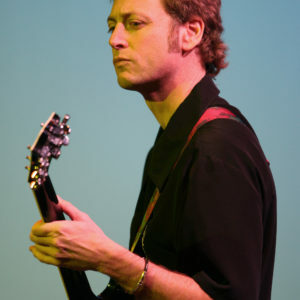 We appreciate the classics for their history, technique and theory, but have found that any student can attain just as good, if not a superior quality of music education and understanding through performing the most popular songs of the 20th and 21st centuries. Like many things, the music industry is very different now from what it was thirty or even twenty years ago, which makes it so important to receive a real world music education. While we respect and borrow some aspects of a classical music education, we are determined to equip each student with the knowledge and skills necessary to thrive in the modern music world. Our Instructors have a lot of experience. 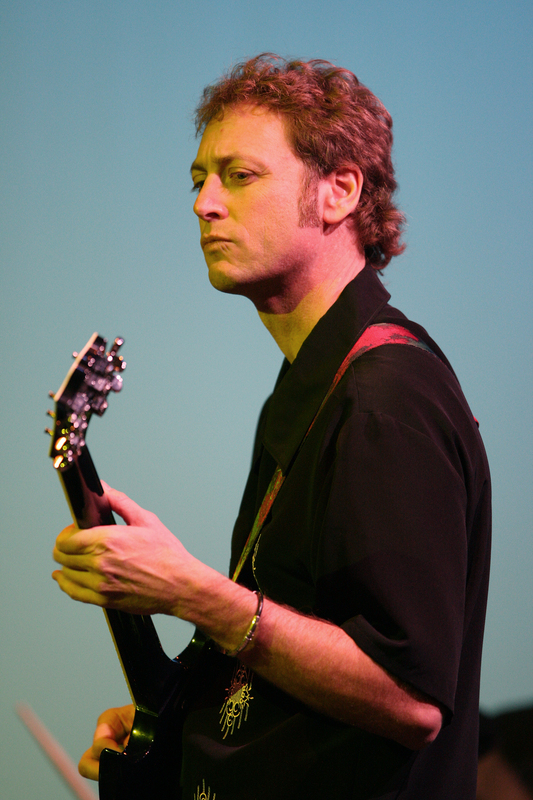 VTMA has searched exhaustively for instructors who not only share a passion for teaching their craft, but also understand that the best way to keep a student interested is to teach them music they are familiar with and enjoy playing. 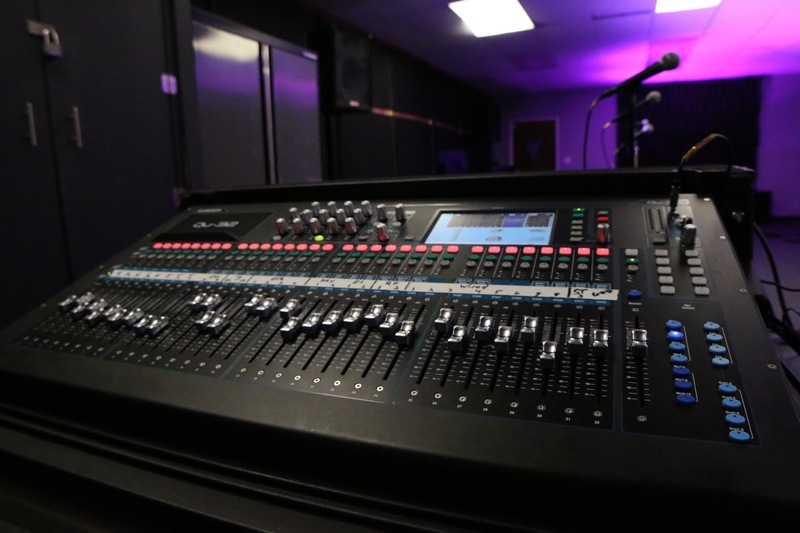 As you’ll find, each instructor at VTMA has an extensive, real world education, many years of teaching experience, and the performance knowledge to help each student succeed. Our Instructors have the depth to work with everyone, from the absolute beginner to even the most advanced students with specific goals in mind. VTMA knows that not every good performer makes a good teacher. 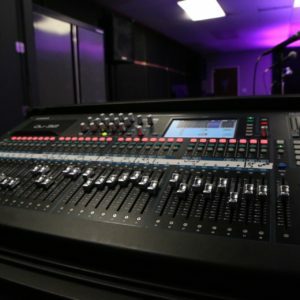 Any talented musician has lots of performance experience to show and tell, but the secret to becoming a talented music Instructor lies in the passion, patience and perseverance required to impart that knowledge onto an eager student. We understand this concept because our business was founded and is owned and managed by actual music educators. 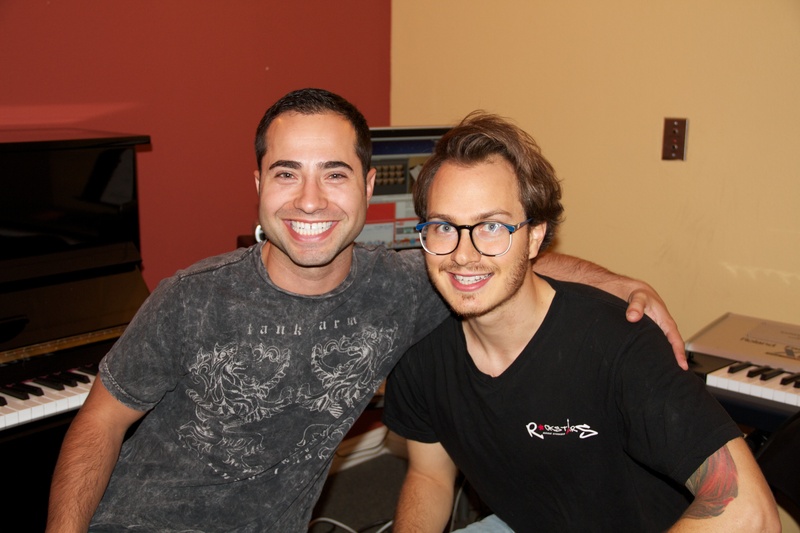 At VTMA, our instructors teach, not because they need a job, but because they love teaching music! 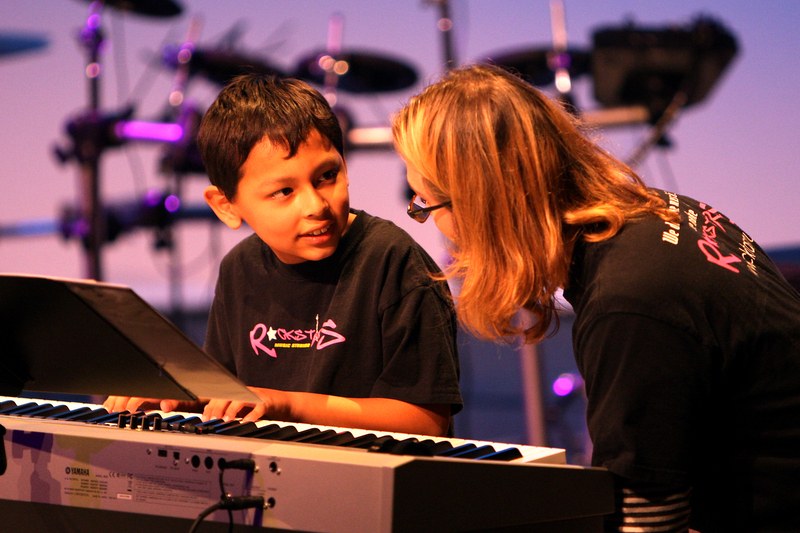 Our Sumer Music Camp programs are a labor of love and are the true essence of what Performance Based Music Education means. 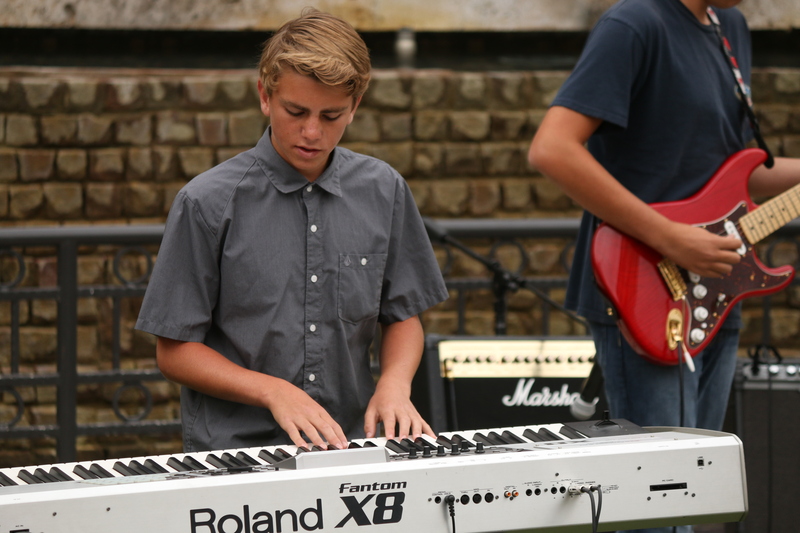 While most schools offer a one week camp jam, VTMA’s 4-week Instrument Immersion and Music Performance Camps are truly one-of-a-kind. 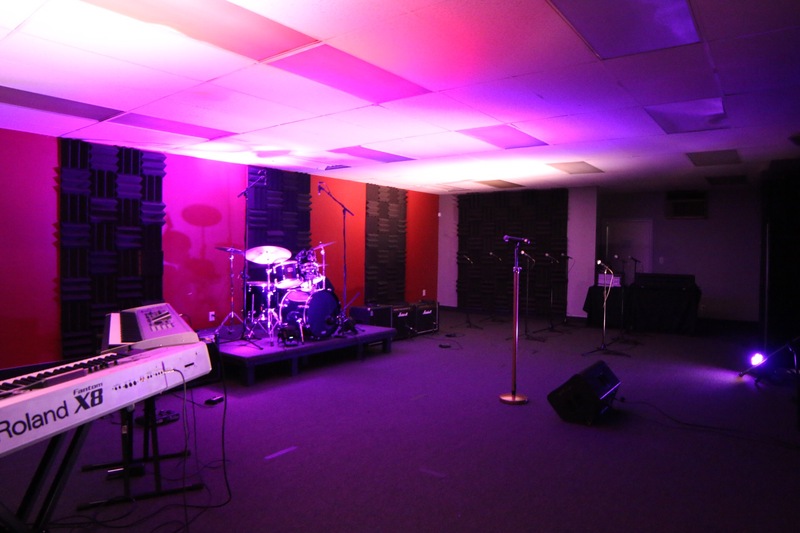 Our workshops are more than just a jam session; students learn theory, rhythm dynamics and the true secrets of music and life success. Watching a student develop skills and apply them in a performance is truly a rewarding experience, it makes us want to be better teachers, drives us to challenge our students and encourages them to reach their full potential. We believe this is evident in our Summer Music Camp Concerts. We’ve always taken a performance based approach to our teaching and we believe that playing an instrument with your friends is the most enjoyable way to experience music and life in general. 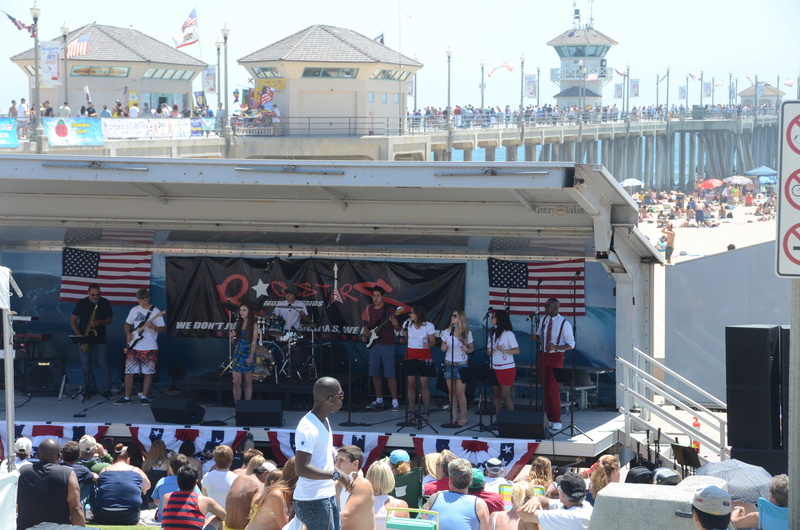 Our Performance Academy concerts are held in the community every year in prominent HB locations such as Bella Terra Amphitheater and, of course, our annual 4th of July celebration concert at the Huntington Beach Pier! We never charge extra for concerts or make you buy tickets, and we certainly don’t make your kids perform in a dingy, seedy bar. Your reward for getting them to and from lessons and rehearsals should be to relax and sit in a beautiful venue and enjoy it along with as many friends and family that you can bring (and they won’t be paying either). What’s worse than rushing to arrive at an appointment on time, but then sitting in the waiting room because they’re running behind? 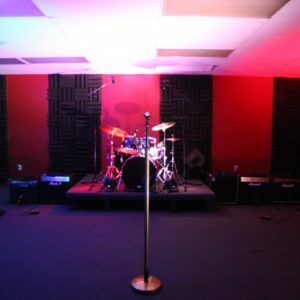 We’re focused and committed to being on time with our lessons and rehearsals so you can plan accordingly. 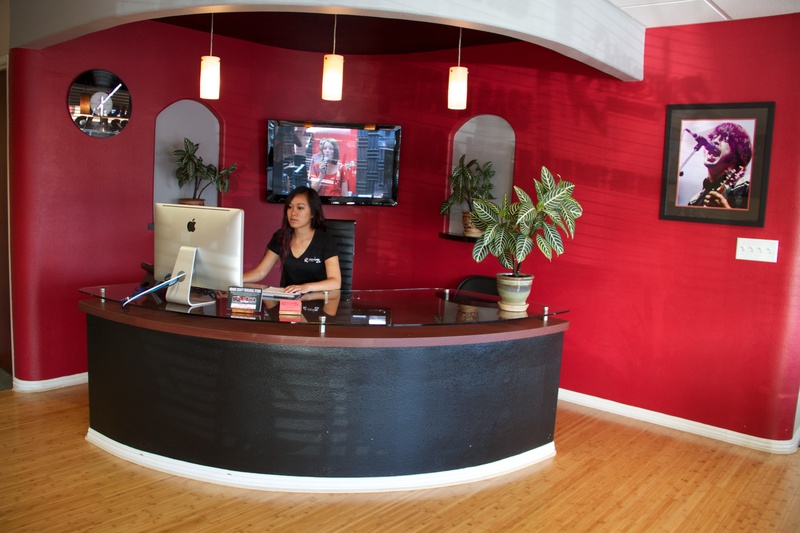 At VTMA we know, through our experience, the demands on both the student and the parent. Kids are busier now than they’ve ever been and many parents have to balance work with getting their children to those commitments. 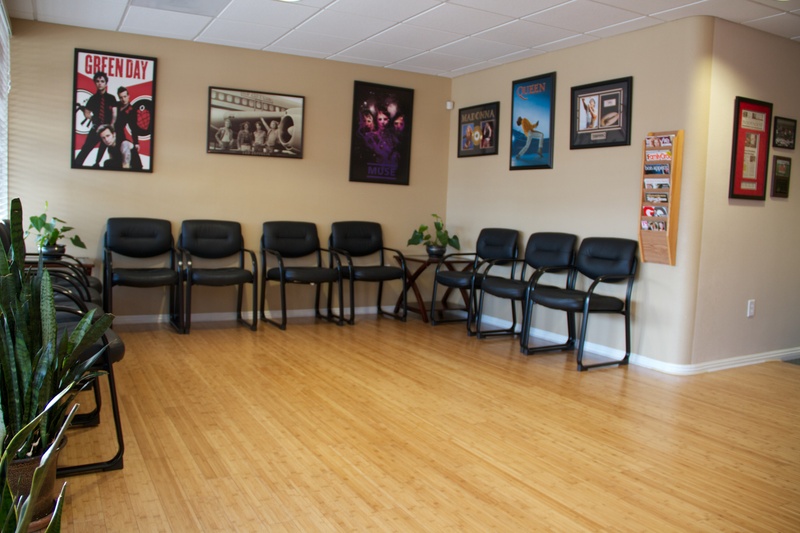 Rest assured, our waiting room is not a holding area to prolong your day, but a clean and comfy drop off and pick up zone. 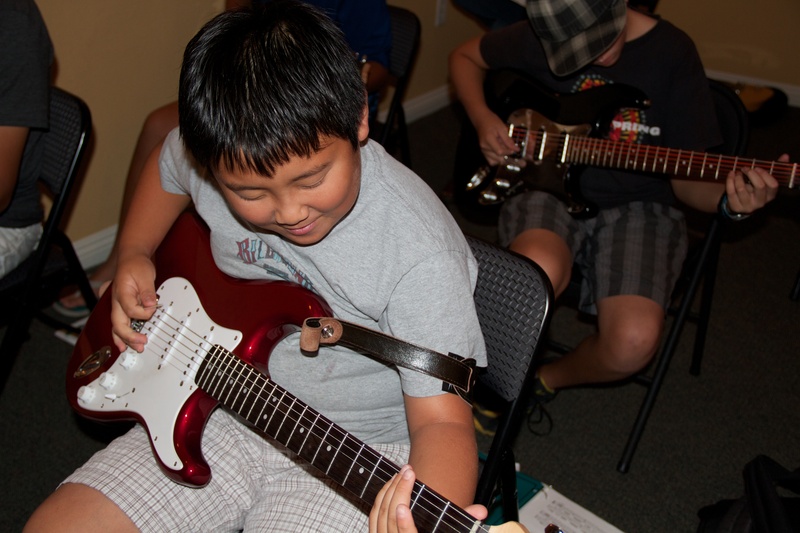 Taking lessons at Van Tuyl Music Academy is an experience unlike any other. 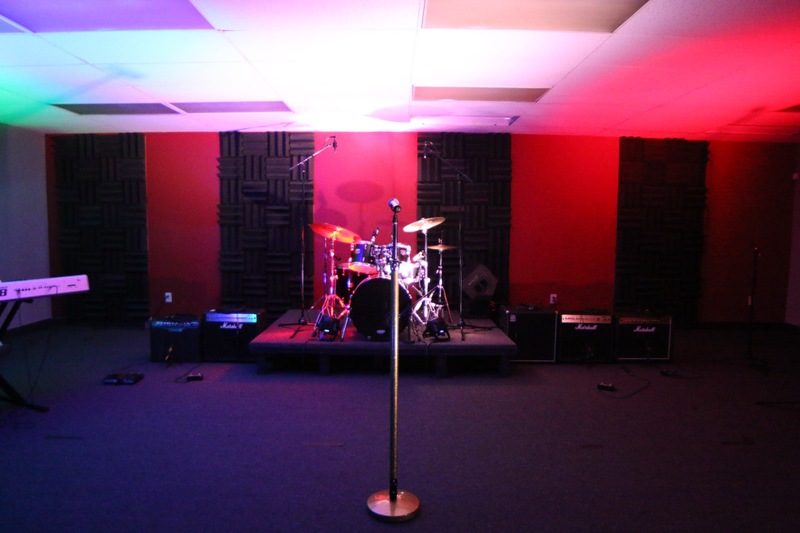 Our facilities have clean rooms, the latest technology and a large music library. 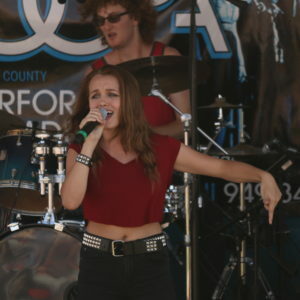 Since 2004, Van Tuyl Music Academy is the original school of pop, rock, musical theater, blues, jazz and live performance in Huntington Beach, Costa Mesa and Orange County.